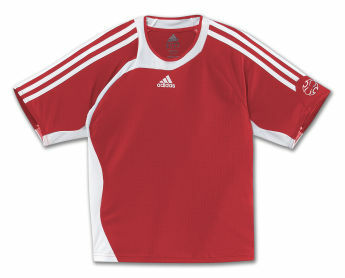 ClimaLite jersey with embroidered adidas brand mark. Soft, lightweight fabric for superior moisture management, and sublimated graph print design. Because a comfortable player is a better player, this ClimaLite? jersey is designed to sweep sweat away from his skin as he sweeps down the field.